Do you meet the eligibility criteria for the University Recommended MEXT Scholarship? Are you eligible to apply for the Japanese Government Monbukagakusho (MEXT) Scholarship? As I write this, the application guidelines for the 2019 University Recommended MEXT Scholarship have just been released, and there have been some significant changes – particularly to the language ability section. Here is a complete explanation of the most recent requirements. The requirements below are for the University Recommendation MEXT Scholarship. As I detail in my book, How to Apply for the MEXT Scholarship, there are differences between the eligibility requirements for University and Embassy Recommendation. I will publish another article about the eligibility requirements for the Embassy Recommendation MEXT Scholarship when thoe guidelines come out for 2020. These are also the eligibility requirements for the MEXT Scholarship for Research (Graduate) Students. I do not cover the requirements for undergraduates below. The eligibility requirements I describe below are the requirements set out by MEXT. However, universities may have their own, higher eligibility requirements, as well. If you find that the university you are applying to specifies higher requirements than what I describe below, you have to meet both sets of requirements. Do not bother trying to argue with the university that MEXT’s standards are lower. That won’t work! You may also find requirements below that are higher than what the universities require, or completely new. Even if there is some discrepancy, if you do not meet the MEXT requirements, the university cannot recommend you for the scholarship, period. You must have a minimum 2.3 / 3.0 GPA on MEXT’s scale over the most recent two years of your degree-seeking studies. For more information on how to correctly calculate your GPA, refer to my previous article. You must have the nationality of a country that has formal relations with Japan (e.g. not Taiwan or North Korea) and must not have Japanese Nationality, including dual nationality. If you currently hold Japanese nationality as a dual national, you must give up your Japanese nationality prior to arriving in Japan. MEXT requires that no more than 25% of a university’s nominees come from a non-priority country. Since the maximum number of nominees per university is less than 8 in almost all cases (I will cover the number of scholarship slots in another article), this means that each university can recommend up to one applicant from a non-priority country. All other nominees would need to be from a country listed in the table below. As of the application for the 2019 scholarship, applicants would need to have been born on or after April 2, 1984. Applicants who are graduates of the Young Leaders Program and applying for a Doctoral-level program that will start within 5 years of the end of the YLP. 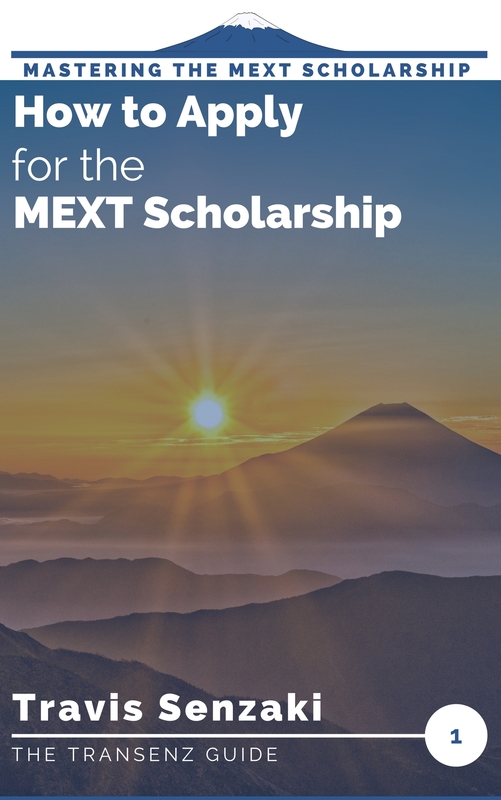 For the University Recommendation MEXT Scholarship, MEXT requires only that you meet the admissions requirements established by the university recommending you. You must be applying within the same field that you studied previously at university or a related field. Your field of study must be available at the university you are applying to. A “related field” is a field of research that falls within the same discipline as something you majored in previously. If your past and future fields could conceivably be majors in the same faculty, or if one is a subset of another, they are related. For example, international relations and political science are clearly related. The same could be said for media studies and communication, or mechanical engineering and robotics. If you come from a multidisciplinary field, such as area studies, then any of the related fields are fair game. If your fields are not so obviously related, then you have to sell the connection in your Field of Study and Research Program plan by clearly showing how research in your past field provided you with a natural transition to the future one. This is the big change this year! For both Japanese and English, the requirement is now that you have to meet the language ability requirement at the time of formal enrollment into the degree program, not at the time of application as in the past. However, if you fail to meet the language ability requirement when you progress to the degree program, you would forfeit the scholarship. So, my guess is that regardless of MEXT’s relaxed timing, universities are still going to want to see that you have the requisite language ability at the time of application, in general. They do not want to lose one of their scholarship recommendees later! Here are the standards you have to meet for MEXT. You only need to meet the language requirement for the language that your program will be taught in! You must meet one of the following (in addition to meeting the admission requirements for your degree program, of course). Have equivalent or higher ability in Japanese language to a person meeting criteria 1 or 2 above, as determined by the nominating university. *Your “qualifying degree” is the degree that you earned as a prerequisite to the degree you are applying for. If you are applying for a master’s degree, your qualifying degree would be your bachelor’s degree. If you are applying for a doctoral degree, then your qualifying degree would be your master’s degree. Have a formal language proficiency test score in English equivalent or higher to B2 on the CEFR scale at the time of starting the degree program. Have equivalent or higher ability in English language to a person meeting criteria 1 or 2 above, as determined by the nominating university. The requirements above are only MEXT’s minimum requirements. Universities are well within their rights to establish higher standards. Must be fit to study in Japan as determined by the nominating university. In general, this means that each university will have a medical form that they require you to have completed. Even if you have a pre-existing medical condition, in general you would only be disqualified for medical reasons if your home country doctor was unwilling to sign off that you are fit to study abroad in Japan. If your doctor agrees that you can continue your care or medication regimen in Japan, then there should be no problem. You must be able to arrive in Japan during the period specified by the nominating university, no more than 2 weeks before or after the official start of the semester. Failure to arrive by the end of the designated period will be considered voluntary withdrawal from the scholarship. In the event that nominees arrive prior to the designated period, their travel fees will not be paid. Essentially, you need to follow the arrival dates designated by your university. The “2 weeks” mentioned above is an instruction for the university’s reference as to when they are allowed to set your arrival date. Arriving late will mean that you lose the scholarship. Arriving early is possible, but you would forfeit the travel benefits. In principle, you must apply for and obtain a “Student” visa at the Japanese diplomatic mission in the country where you hold nationality then arrive in Japan using that visa. Applicants who already hold other residence statuses in Japan, such as “Permanent Resident”, “Long-term Resident”, etc., must give up that status, apply for a “Student” visa, and return to Japan with that visa. After completion of your degree, it is not guaranteed that you would be able to reobtain a “Permanent Resident” or “Long-term Resident” status again, even if previously held. Applicants who arrive in Japan without a student visa will have their scholarships suspended. Active duty military or military-employed civilian at the time of arriving in Japan or at any point during the scholarship award period. Unable to arrive in Japan by the deadline determined by MEXT or the nominating university. Previous recipient of the Japanese Government MEXT Scholarship (including those who withdrew from the scholarship in the past after arriving in Japan). However, applicants who have over 3 years of education or employment history between the month after the end of the previous scholarship award and the commencement of the new award are eligible to apply. Past recipients of the Japanese Studies MEXT Scholarship who returned to their home universities and graduated after receipt of that scholarship (including those expected to graduate before the start of the new scholarship), past recipients of the Japan-Korea Joint Government Scholarship Program for the Students in Science and Engineering Departments, and past recipients of the Young Leaders’ Program scholarship are eligible to apply. 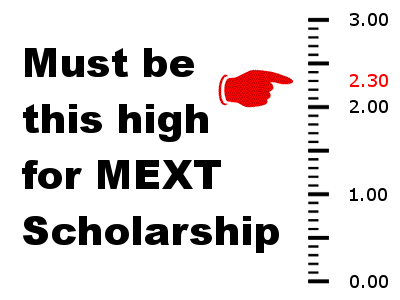 Past receipt of the MEXT Honors Scholarship does not disqualify applicants. Applicants who are simultaneously applying for any other Japanese Government (MEXT) scholarship to begin in fiscal year 2019. Applicants who are already enrolled at a Japanese university with a residence status of “Student” at the time of application or who will enroll in a Japanese university prior to the start of the scholarship award period. However, applicants who are currently enrolled in a Japanese university (or who will enroll in a Japanese university) as fee-paying students and who have definite plans to complete their studies, return to their home countries, and obtain a new student visa before returning to Japan are eligible. Essentially, this requirement means that you cannot be enrolled in a Japanese university with the intent to quit if you receive the MEXT Scholarship. The exception applies to students who enrolled in Japanese university (or language programs) and will complete their course of studies/graduate before the start of the scholarship. Applicants who have not yet graduated from their qualifying degree at the time of application and who fail to graduate before the start of the scholarship award period. If you have not graduated, you are still eligible to apply and would have to submit a “Certificate of Expected Graduation” instead of a Certificate of Graduation. However, if you do not graduate as expected, you would lose the scholarship. Applicants who have dual nationality, including Japan as one of the nationalities, at the time of application and who fail to renounce their Japanese citizenship prior to the start of the scholarship. Applicants who intend to conduct fieldwork or internships outside of Japan or take a leave of absence during their studies for a long period of time. “Long period of time” is undefined, but I would interpret this as meaning any period of time that interferes with coursework during the semester. Fieldwork outside the country could be possible during vacation periods, for less than a month, but if you fail to sign in at your university each month, you would forfeit the monthly scholarship payment for the months that you do not sign. Applicants who have already obtained a doctoral degree and are applying as a research student. During your studies in Japan, you must be willing to actively participate in interaction events with schools and communities to contribute to the strengthening of relationships between your home country and Japan. After graduation, you must remain in contact with your university, participate in follow-up surveys and studies, and join in activities conducted by the Japanese diplomatic mission in your home country to promote relations with Japan after returning home. Of course, this is unmeasurable, but stating your willingness/excitement to participate in such activities during the application process where possible would help you application. Applicants whose qualifying degree was earned at a university that has a student exchange or other partnership with the nominating Japanese university and who were formally recommended by their home university. Applicants whose qualifying degree was earned at a university that has a history of interaction with the nominating Japanese university outside of a formal partnership and who have been formally recommended by their home university. Applicants whose qualifying degree was earned at a university that has no partnership or history of interaction with the nominating Japanese university but who have been determined and formally recommended by the president of the nominating Japanese university to be someone who can contribute to the improvement of the university’s education and research. Technically, this criteria does not eliminate any applicants, but it makes it much more likely that applicants from a partner university will be able to earn nomination. Many Japanese universities will only accept nominations from partner university students, and some will require that the students go through an application and nomination process at their home universities, first. For this reason, I highly recommend that you apply to a university that has a partnership with your current university! Today I received an email that I had been selected as one of the nominees for a MEXT(from fall 2019) by a Japanese university. I wish I would have found your site sooner. The recommendation process at my home university happened very fast and, I am still unsure what the next MEXT evaluation entails. Congratulations! Even without finding the site sooner, it sounds like you have found success! Now that you have been nominated to MEXT by the university, you have passed the step of competitive evaluation. MEXT, at this point, will be double-checking the university’s work to make sure that they did not miss any problems with your application, disqualification criteria, or that you haven’t been nominated by two separate universities. In all my years of working with the MEXT scholarship, every student I know of that was nominated to MEXT for the scholarship ended up receiving it. It is just a matter of waiting for the bureaucratic processing at this point. I will try to apply for the first time this year for the Undergraduate MEXT Scholarship, I’m usually good at math but I’m really worried about where to study from for the math and the sciences tests. I’have searched a lot and I have only managed to find this guide “Math for undergrad MEXT scholarship”, do you have any information about this book? Could you help me find more resources? Unfortunately, I have never heard of that book. I know you can find old tests on the Study in Japan website below, so that might help you identify which parts you need more help with and look into study materials for that. First of all kudos for the blog, this place is probably the most helpful spot on the whole web for anyone seeking the Monbusho scholarship. I was planning to apply through the embassy recommendation first and see how it goes, I’m seeking a masters dgree and the number of scholarships awarded in my country for that category is around 5 per year. Me, having a 4.2-4.3 out of 5 overall GPA (84%-86%), wasn’t so thrilled due to the low number of scholarships offered for every single field of study imaginable… No worries, I have good work experience, good research experience, I can probably get some good recommendation letters plus, I have a C2 (native) TOEFL level, sooo keep on trucking! right? Well, just a few minutes ago I was checking out TUFS and Sophia U’s webpages and to my surprise they already opened the Top Global University Project-Monbusho scholarships admissions for this Fall! In this article (and a few others you’ve wrote) you’ve stipulated that the MEXT’s GPA cutoff criteria is 2.3 out of 3.0 during the last two years of study, all this on its “peculiar” scale (A or B grades # of credits x 3 + C x 2 + D x 1 + F x 0 / total # of credits). So it seems like Sophia has it own set of rules, yet it says quite clearly that it is MEXT that will reject students who have a GPA below 2.5 (not 2.3) over THE LAST (1) YEAR (not 2 years) OF STUDIES. Did MEXT change the minimun GPA criteria this year? Or is this a university-by-university case-by-case thing? If that’s so, I’m even more discouraged now than ever since I’d assume that’s the same filter the universities go by when sorting out embassy applications, and not a lot of Japanese universities express it clearly (as Sophia does) on their websites. So lets say I apply to university A,B, and C on my embassy submission: A and C are impressed with my research proposal, language skill, CV etc… theyre not too thrilled about my GPA but they still choose to give me the scholarship! horray I guess, yet university B has a 2.7 GPA cutoff which they never stiupulated on their website so they just threw my application away after seeing it. Well, at least I still got the scholarship, but what if I had applied to universities D,E and F instead, all of which have an undisclosed 2.6 GPA cutoff? Also, if I were to apply to Sophia now, the internal selection process would still be going on while the embassy selection process opens in my country, to my understanding this would disqualify me from applying through the embassy since I have not received an answer from the university during the embassy selection timeframe. Even if thats not the case, I’d assume writing “rejected” from x when applying through the embassy would take points away for me when MEXT and the universities I applied to see the application form, and this would only get worse when I try to apply once again through university recommendation in AUG/OCT. Please get back to me on this issue brother, I can’t be the only one wondering. There’s a very simple explanation here for the different GPA levels, and you even said it yourself. I can assure you that for the Embassy and University, there are no secret higher GPA cutoffs, at least not in terms of predetermined numbers. It really comes down to the number of other applicants and their GPAs. If your GPA is 2.43, but they get 15 applicants with a GPA of over 2.70, then (for the University Recommended MEXT Scholarship), your application probably would not be considered. For the Embassy Recommended MEXT Scholarship, by the time the university sees your application in the first place, you would have already passed the Embassy’s Primary Screening and so essentially be guaranteed to receive the scholarship. I know that were I worked, at least, we never calculated GPAs for Embassy Recommended MEXT Scholars who were seeking LoAs. (It all come down to whether or not their target professor was able to/interested in supervising their research). I would recommend in your case that you focus on the Embassy Recommended MEXT Scholarship process, rather than the TGU. Thanks for clearing that up! I really thought MEXT had changed the whole process this year! Thank you for your helpful information in your blog! I have been informed that I am a candidate for the MEXT Scholarship by the university (“University A”). But before applying for the University A, I also applied for another university in Japan in a privately financed program (“University B”). Then, I got the result from the University A that I will be nominated so I signed the letter of acceptance to be a candidate for the MEXT Scholarship. After that, the University B was announced that I was also a selected applicant and my COE was completed as well (they need to prepare the COE because this program will start in April.). I, therefore, rejected the University B and they proceed to withdraw my COE. I also informed the whole situation to the University A and they understood it and just told me to wait patiently for the official result from MEXT at the end of June to the early of July. However, My big concern I just saw item 5 of disqualification criteria describing that any person who plans to enrol in a Japanese university prior to the start of the scholarship award period is ineligible to apply for the scholarship. I don’t know whether the COE application which was just cancelled can be counted as this ineligibility and will affect the MEXT’s consideration. Look forward to your opinion on this point. Thank you! Congratulations! While there is still a long while to wait before the official MEXT results, being nominated by University A all but guarantees that you will receive the scholarship in the end. Since you have informed University B that you withdrew from the application and they have already cancelled your enrollment, the disqualification criteria you mentioned is not relevant in your case and you have nothing to worry about. Had you accepted university B’s offer of admission and planned to study there for a semester before starting your MEXT scholarship at University A, that would have been a problem. Thank you again for your reply. I feel a bit relieved during this longsuffering waiting! As per your reply, it should mean the COE applying process doesn’t relate to the term of enrollment under that criteria. Also, that item only enforces on a person who enrolls or accepts the offer to enroll in another university while waiting for the MEXT’s result. Are my understandings correct? Thank you so much! To make my questions clearer, even my COE as a student residence was completed but I didn’t use it to apply for a visa, this won’t be counted as the enrollment under that ineligibility criteria, will this? Was the CoE issued? If so, the university would have to return it to the immigration bureau. In either case, it will not count as enrollment under the MEXT Scholarship rules, so you do not need to worry about that. However, you would want to be sure that the CoE application was withdrawn before the document was issued or if the CoE was issued, that it was returned to the Immigration Bureau. (You only need to worry about this if the CoE was issued and the university sent it to you – if they cancelled the application or they returned the CoE without sending it to you, everything would be taken care of already). I’m glad to hear that I was able to help! That is correct that the CoE application will not affect your MEXT application and that the eligibility criteria only refers to students who actually enroll or accept the offer to enroll in another university. There is no rule against applying in the meantime as a backup plan. Since they have withdrawn the application, there should be no problem when you go to apply for your Student Visa for the MEXT Scholarship later, either. I also enquired the Japan embassy in my country and its officer advised the same as you. However, she did not sure whether a visa application in this September will be affected if my CoE is cancelled/returned to the immigration bureau. Is there any period to wait for applying for a visa after the cancellation/return of the CoE? or have you ever heard anyone who cancelled/returned the CoE and could not apply for a visa? I am sorry to be such a bother! No, I have never heard of anyone who was not able to apply for a CoE/visa in that situation. The only related incident that know of was when my university tried to apply for a second CoE for a (non-MEXT) student who had deferred admission and let his first one expire without applying for a visa. In that case, the Immigration Bureau would not let us apply for a second CoE for him until we had returned the first with a letter of explanation. But once we returned it, we were able to apply for the next CoE with no trouble. It seems like I need to ensure that the CoE must be properly cancelled. Other than that it looks fine! Thanks a bunch for your time and effort. Congratulations on being nominated! If you don’t mind me asking, which university is it? I have been waiting for results for the selected nominees. I still got no e-mail if I got selected or rejected, but I guess I just have to patiently wait for it. Thank you! I’ll leave it to Eggo to reply or not about the university. Often, universities will put the results release date in the application guidelines. Was that not the case for you? For the general university recommended MEXT Scholarship, universities need to submit their final list of nominees to MEXT to arrive between Mar 18 – 28, and in most cases, they would contact applicants first to confirm your intent to study with them, so they should have reached out already. It would not be a bad idea now for you to contact them to ask, since that deadline is so close. Thank you very much for your insight. Unfortunately, a timeline was not included on the admission guidelines. Earlier, I emailed the professor and he only mentioned that I had to wait until June for the results. For the standard University Recommended MEXT Scholarship, June is when MEXT is supposed to release its final results, so this should actually be good news. If the university did not select you for nomination to MEXT, they should already be able to tell you that at this point. The only reason to tell you to wait for MEXT’s results, as far as I can see, would be if you were still in the running. Of course, I would feel more comfortable if they had told you that you were nominated. The only other possibility I can think of is if you are a candidate for a Top Global University MEXT Scholarship slot. I have not found the decision timeline for that scholarship this year, but I will keep looking. Sometimes, those slots may be determined at the same time as the University Recommended MEXT Scholarship. I will share more information about that process when I have it. The university told me to not to worry about CoE or whatever. Just have to be patient til June/July though. Thank you for your advice! Thank you for your reply and information on the CoE! The June/July timeframe sounds right based on my experience. i am also nominated from Nagoya,could i connect with you via any social media? Thank you so much for your valuable information and exhaustive effort to help students. I have applied for MEXT scholarship this school year and have done all screening by the University, that is under the Top Global University Project. When I applied, my English score did not meet the minimum requirement of MEXT scholarship. So the University asked me to do many interviews to demonstrate my English ability. Finally, I received a notification that I have been selected by the University Recommendation for MEXT Scholarship. But they also repeatedly told me that it might not be certain. Is there any chance I will not receive the scholarship despite being nominated by the University because of my lack of English certificate? 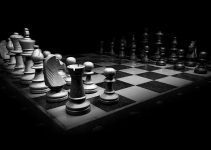 If I receive the scholarship, do I need to have at least one before entering the degree program? Please let me know if that would be possible. Once you are nominated by the university, then no, there is no chance that MEXT would reject you over your English language certificate. MEXT does not look at that. The only ways to lose the scholarship at this point are if MEXT determines that you have been recommended by two different universities or if they find a reason why you would not be able to come to Japan – such as your having a history of being deported from Japan in the past or if you were an internationally wanted terrorist. The other reason that the results are uncertain at this point is that MEXT’s budget for the coming Fiscal Year is not yet confirmed. If they were to experience a massive budget cut, then it is possible that some scholars would not be approved for the scholarship, but I have not heard of that happening in the past, so it should be nothing to worry about. There is a problem that I concern. According to your post, students who fail to meet the language ability requirement when they progress to the degree program would forfeit the scholarship. I currently do not have any English certificates that meet MEXT requirements. Does that mean if I don’t want to lose the scholarship, I have to get at least one English certificate before entering the degree program in October? As long as your university is satisfied with your English language ability and determines that your ability is sufficient to complete your degree, you will not have a problem. If you have any concerns about whether your ability meets their expectations, I would recommend that you talk to your advisor once you arrive. I would not anticipate any problems, though. My understanding is that this criteria exists to weed out the scholars who arrive and end up having no English ability whatsoever and cannot complete their degrees. (Yes, that does happen occasionally). Thank you very much for your great explanation! I was so worried before I talked to you. Your answers make me feel much more relieved. My university has sent a notification that my application is now fully complete and get ready to send a recommendation to MEXT for my scholarship funding. They ask me to wait until by the end of July for the decision regarding the awarding of the scholarship determined by MEXT. I guess what I need to do now is stop worrying and wait for the final result. Again, thank you so much for what you have done for me! Congratulations! If the university is sending your nomination forward to MEXT, then you should almost certainly be receiving the scholarship! I have never heard of anyone losing it at this point. It is a long wait and may try your patience, but I expect that you will hear good news in the end! Does “formal enrollment” means when one passes university’s entrance exam and turns into a formal graduate student? or does it mean the time when one is applying for the letter of acceptance after passing the 1st screening in the embassy? and do you think that this criteria will be the same in embassy track application too? By formal enrollment, I meant when you pass the entrance exams and start the degree program. It’s hard to say whether the same requirement will apply in the embassy track. I would not be surprised to see that happen. On the other hand, during the embassy track, one of the steps you go through is a language proficiency test before the primary screening. I do not think that will change, and that should ensure a minimum level of language ability, so there may be no need to implement a similar requirement there. I would suggest that you aim to hit at least B2 level language ability by the start of your application for the Embassy Recommended MEXT Scholarship, just in case, but I won’t know what the exact requirements will look like for another 2 months. Hi Travis! This is Spiros. So, I think I didn’t let you know I was eventually informed that my application had arrived on time (even though it was one day later!) and had been accepted back in December. However, I have not received any feedback yet, and Ritsumeikan is supposed to announce the results on Feb 15. 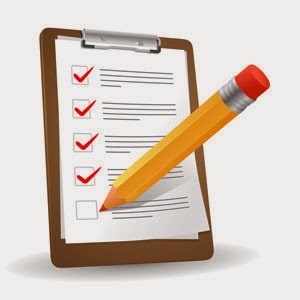 Is it common for universities to give some feedback or possibly conduct interviews to those they have decided to consider for primary screening before the date they have announced, or is this a later stage? In other words, does the fact that I haven’t heard from them yet probably mean rejection? It is good to hear from you again! I was a little worried about the silence in the meantime and hoped that it did not mean bad news, but I am glad that your application was accepted. Universities are supposed to conduct interviews “to the maximum degree possible”, including skype or email interviews as options. The actual implementation is going to be left to the discretion of each individual graduate program, so I cannot say for certain how they would approach it for your program. (This goes without saying, but make sure that you have whitelisted the university’s entire domain in your email and checked your spam box, too, to make sure that you haven’t missed a message from them). I hope you hear from them soon! Thanks! I checked, and of course there was nothing. Do you think I should possibly email them about it, or just wait and see? Unless you have a direct contact with a professor there, I don’t think that emailing the office that handles applications would get you any result. They would likely just tell you to wait for the official results. I have a separate article about the “Required Documents” for the University-Recommended MEXT Scholarship that includes a description of what the Letter of Recommendation should look like, so I recommend that you check there.